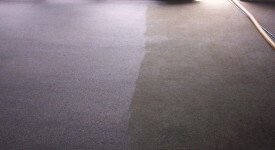 Cleaning Methods - Catamount Carpet Cleaning, Inc. There are several different types of cleaning methods available to consumers. They are: shampooing, dry foam, bonnet (dry cleaning), dry powder and hot water extraction. Below are explanations of all the different types so that you can make an informed deicision for what is best for you and your valuable investments (carpeting, upholstery, etc.). 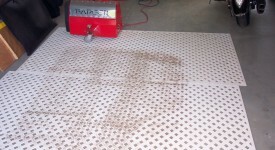 Catamount Carpet Cleaning uses a truck mounted steam cleaning system for most of our clients. There are three types of hot water extraction: Residential portables, professional portables and truck mounted units. Shampooing: Shampooing is the use of a motorized circular brush in which foaming cleaning products are introduced to the surface of the carpet and are then scrubbed into the carpet. This method has very good agitation and is best suited for low pile commercial carpet or low cut pile carpet that is highly soiled. This method, unless it is used with some other type of carpet cleaning, has no extraction in the cleaning process but rather relies on vacuuming after the shampoo dries. Because of it’s high aggressiveness, and the large amounts of cleaning product residue it leaves, this method is not recommended for most cut pile residential carpet. It also can have long drying times associated with it. Dry Foam: This method is very similar to shampooing in that it relies on the aggressiveness of the brushing action, which is usually counter rotating cylindrical brushes. The difference is that the solution is whipped into a foam and applied right before the brushes instead of a liquid as in shampooing. This does allow for faster drying times. 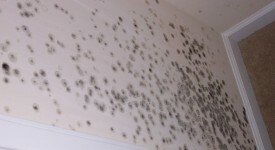 Although some DRY FOAM machines have a built in vacuum they still rely on the cleaning product drying to a flaky residue that the dirt adheres to and being sucked away by a vacuum cleaner. This method has the same weaknesses as Shampooing with the additional one of not being able to deep clean. Bonnet (Dry Cleaning): In this type of cleaning sometimes referred to as ‘Dry Cleaning’, the cleaning product (sometimes mixed with carbonated water) is misted onto the carpet in the form of a spray. Next, a circular rotating buffer with an absorbent pad attached is run over the carpet. The soil attaches itself to the pad and the pad is changed with a clean one after becoming dirty. This method has the advantage of drying very quickly because of the small amount of moisture used. It generally does a good job of cleaning the topl/3 of the carpet pile that is visible to the eye. But does little to remove the heavier grit and sand that damages carpet over time. Because there is no flushing action or extraction, there is very little deep cleaning. 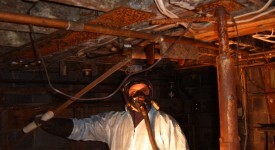 This method may be considered as an interim cleaning between more effective deep cleanings. Dry Powder: With this method, a dry product (powder or ground corn cobs that have been soaked with a solvent chemical) is broadcast over the area to be cleaned. Then either a circular brush or cylindrical rotating brush is used to force the dry cleaning product in contact with the soil. After the carpet dries, which is surprising fast, a through vacuuming is required to remove the product and loosened soil. This method has the fastest drying times of all carpet cleaning methods and has the advantage of being able to be walked on almost immediately after cleaning. Similar to the Bonnet method, dry powder cleaning does a fairly good job of cleaning the top 1/3 of the fiber that is visible if it is not heavily soiled. Again, it does very little to remove the heavier soils in the base of the fibers. It’s weakness is the extraction cycle. If not vacuumed with a powerful commercial vacuum, large amounts of the cleaning product can remain, and over a period of time build up and cause considerable problems later on. Recommendation by major carpet manufacturer.Hot water extraction is sometimes referred to as ‘Steam Cleaning’. Actually this is a misapplied term, for real steam is too dry and hot to clean carpet properly. In this method, hot cleaning solution is sprayed under pressure onto the carpet and is immediately extracted with a vacuum source. The dirty solution is collected in a recovery tank and is usually poured into the sanitary waste system. 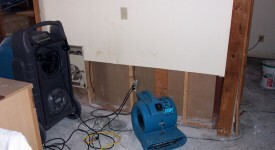 The advantage of this system is that is has the ability to flush out large amounts of soil and contaminants in carpet. It is the most preferred method by all of the major fiber producers, such as Dupont, Monsanto and Allied Signal, as well as the carpet manufacturers like, Shaw, Mohawk, World, and Queen. Because this method removes more contaminants than the other carpet cleaning methods, hot water extraction is favored by the Environmental Protection Agency (EPA) and is the preferred method of the Institute of Inspection, Cleaning and Restoration Certification (IICRC). It does have the disadvantage of having longer drying times and the possibility of wick up of spots if they are not thoroughly extracted. Most higher quality carpets that have extended appearance and texture retention warranties require this type of cleaning every 18 months in order to retain the warranty coverage. NOT ALL HOT WATER EXTRACTION MACHINES ARE EQUAL! Residential/Rental: These machines are fine for spills and maintenance of lightly soiled traffic areas. 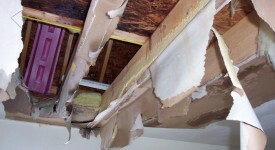 But they lack the power needed to do the deep cleaning required to get out the grit that lies deep in your carpet pile and to maintain carpet manufacturer warranties. Professional portables: These machines are many times more powerful than residential units. The number and size of vacuum motors and pumps plus heat exchangers differentiates one from another in terms of performance. The most powerful machines may have two power cords to enable household circuits to cope. A really good job can be done with these units. if the operator has excellent training and takes his or her time. 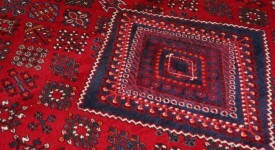 Sometimes portables are the only way the carpets in some locations can be cleaned. Truck mounted units: These machines have large independent engines or run off the motor of the cleaning van. They can develop up to 1000 pounds of pressure (though normally carpet is cleaned at only 500 lbs. of pressure). They also heat the water to 180 or more degrees and have very powerful vacuums. These machines are expensive but they can leave the carpets drier in many cases when used properly. Typically, this type of hot water extraction machine should give improved results as well as decrease time on the job.